IS IT WORTH TO STAY AT THE CASA FUSTER HOTEL? 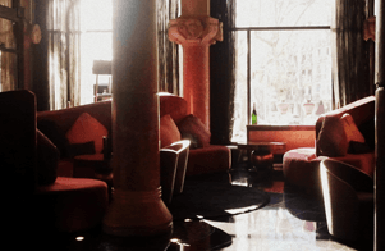 Casa Fuster is one of the most emblematic hotels in Barcelona, not only for being a great hotel but also for its modernist architecture with a stunning white marble façade. In 2000, the chain Hoteles Center bought the entire building to convert it in a GL Hotel (before it had been first an apartment building and later on the headquarters of a power company). If you appreciate being surrounded by beauty, you’ll love this place. Built in 1908 by the modernist architect Domènech i Muntaner, teacher and competitor of Antoni Gaudi, it’s a gorgeous building. 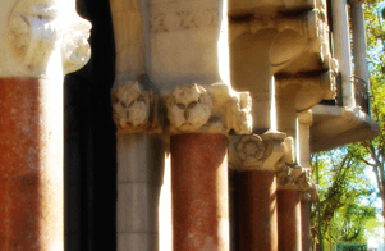 Marble columns, stone carvings featuring flowers and birds… the whole place distillates an atmosphere of elegance and calm. Every Thursday at 9 PM, there’s a jazz session at the historic Café Vienés, one of the nicest areas of the hotel. Full of elegance and glamour, these Jazz sessions have become a reference for jazz lovers in Barcelona. Enjoy the music while eating their tasting menu or just enjoying a drink. Great guest artists for a magnificent place: Woody Allen, Yoshida Brothers, Eddy Davis are just some of the musicians that have performed here… And guess what: Café Vienés was one of the stages of Woody Allen Oscar-winning film Vicky, Cristina Barcelona. A privilege area, at the top of the elegant Passeig de Gràcia avenue (full of shopping and food opportunities, and walking distance from Gaudi’s Casa Mila), and if you like going a bit off the beaten path, you’ll be around the corner from the Vila de Gràcia district, where walking around is a pleasure: full of little squares with outdoor terraces to have a drink where locals go, while watching people hanging out and enjoying the sun. Enjoy the pool in the terrace of the Casa Fuster hotel and cool down after a hot day out sightseeing Or just feel the evening breeze while listening to some chill out music and enjoying great views that will make you forget the summer heat. Being a boutique hotel, you don’t get here the impersonal service of a huge chain. Service is attentive and personal, and they will do anything to make your stay a pleasure. The Barcelona Casa Fuster is one of our favorite Boutique hotels. Or if you prefer a more independent traveling style, ask them to give you one of their Casa Fuster Apartments Barcelona. AND BONUS! 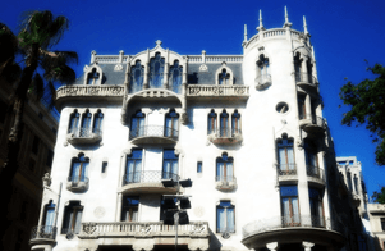 Is there anything bad about the Hotel Casa Fuster that you should know? It’s hard to find a downside for this hotel, except that it is pricey and the hot tubs have room for only one person. Also, since the street where it is located is only one-way, often when you need a cab it’ll have to go around on a loop to get in the right direction (what can cost you a few extra euros). To avoid that, I often prefer to walk two blocks to Diagonal Avenue and hail a cab going already on the right direction. So what about you? Head to the comments below and tells us: would you stay at the Barcelona Casa Fuster? LOOKING FOR HOTELS ON PASSEIG DE GRACIA?